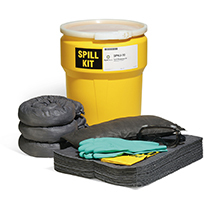 This complete system ensures that overspills are a thing of the past. Our PolyCollector holds up to 66 gallons while your choice of dollies makes moving drums a breeze. 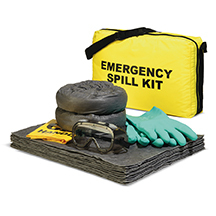 Top it off with a universal funnel for a clean, safe facility. Stout Drum Dolly has castered wheels to support the Poly-Collector™ even when it's fully loaded. Allows easy movement of drums for dispensing and emptying. Fits both closed-head and open-head 55-gallon drums and other containers. Just set it in place and forget it. Features a high sidewall to prevent splashout and bung-fitting holders for secure attachment. Durable polyurethane construction resists chemicals. Strong, tough 100% polyurethane outer shell has a 66-gallon capacity — holds a 55-gallon drum, even if ruptured or leaking. UV-stabilized for a long, productive work life. With a built-in 80-gallon sump, this amazing product virtually eliminates the need for old-style dispensers that offer no sump capacity.